Is Rookie QB DeShone Kizer on His Way To Starting the Preseason Opener for the Browns? Since 1999 it seems like a rite of passage during training camp for the Browns to be searching for a starting quarterback. This year is no different, with the competition between three very different players – Cody Kessler, Brock Osweiler, and rookie draft pick DeShone Kizer. Many assume that due to his experience from a year ago as a rookie that Kessler would be the choice to get the first crack at being a starter, but indications are coming in that seem to be minds are changing in Berea. 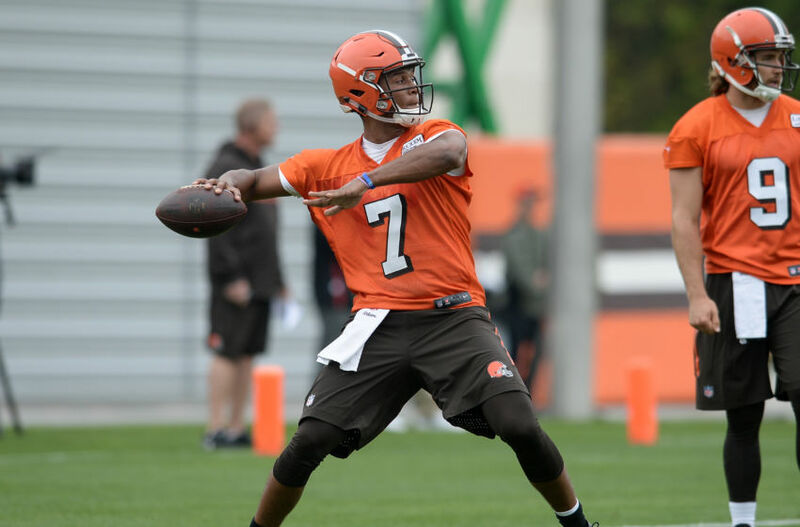 That is as of now, rookie draft pick Kizer is quickly moving up the ladder, and Mary Kay Cabot of Cleveland.com writes that it looks like the former Notre Dame QB could be the man come the preseason opener in a week. Is Rookie QB DeShone Kizer a ‘Better Bet’ to Win the Starting Job for the Browns? Be the first to comment on "Is Rookie QB DeShone Kizer on His Way To Starting the Preseason Opener for the Browns?"